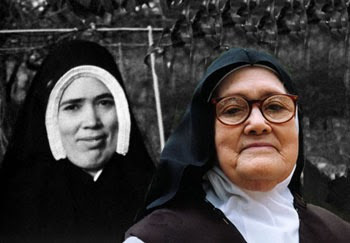 TradCatKnight: TradcatKnight Radio, Dr. Peter Chojnowski "Two Sister Lucia's? And False Mainstream Fatima Narrative"
TradcatKnight Radio, Dr. Peter Chojnowski "Two Sister Lucia's? And False Mainstream Fatima Narrative"
Special Guest Dr. Chojnowski formerly from the Fatima Center joins me to discuss: phony sister lucia, false fatima message of the Conciliar Church, latest from Francis, will neo-cons Burke/Sarah fall in line with the new Francis oath?, can a Pope be a heretic?, latest tragedies in the Novus ordo, what can resistant minded Catholics do in this late hour of the crisis?, make your Home a refuge for the coming Apocalypse, how will the restoration of the Church commence and MUCH more! Dr. Peter Chojnowski is a native of New Britain, Connecticut. Dr. Chojnowski has degrees in Philosophy and Political Science/Economics from Christendom College in Front Royal, Virginia and a Ph.D. in Philosophy from Fordham University in New York City. He has taught in 7 institutions of higher education, including Fordham University, Fairfield University, and Gonzaga University. 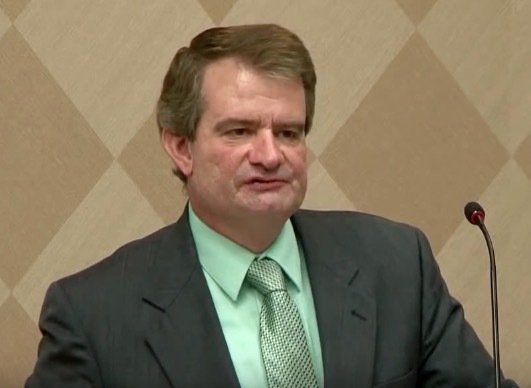 Specializing in the philosophy of St. Thomas Aquinas and Catholic Social Thought, Dr. Chojnowski has written over 300 articles and reviews and has lectured widely in North America, Europe, South America, and Australia. Dr. Chojnowski now lives on a small farm in Washington State with his wife and six children and teaches at Immaculate Conception Academy. His talks can be seen on the Fatima Center Youtube channel. Re: Preparing your home, especially for the 3 days of Darkness. I have read about putting plastic adhesive on the vents, I suppose they mean A/C vents. Well, in my home these vents are 20 or so feet up on the ceiling. I have no idea how I am going to do that. Any suggestions? Or, is this something that was said many years ago when they had different types of vents in homes? One thing that I keep hearing is that a pope cannot be a heretic because then the gates of Hell would have prevailed. I don't understand that because God knows what is happening in His Church and He will preside over it under these circumstances. The church is the people also. I just don't believe that this means Hell has prevailed...it sounds like a misnomer to say this. Obviously, at least right now, there IS a HERETIC pope. Any thoughts? However, this statement was never interpreted by the church as meaning the Pope cannot teach heresy or even be an outright heretic. What it was taken to mean is that the church will never be destroyed, no matter how hard the Devil tries. But it must not be forgotten that this would be true if only you and I remained on the entire earth with the True Faith within us, whole and entire. It doesn't mean popes cannot teach heresy. They can, and occasionally have in the past, perhaps most notably by Pope Honorius. Lastly, remember that the man known as "Pope" Francis has never been Pope but is merely an imposter. He remains a priest forever by the order of Melchizidek, (even in Hell he will still be a priest) but he never was the Pope. Pope Benedict XVI remains the True Pope, and while he taught material heresy, he never manifestly revealed himself as a heretic as Bergoglio has. Hope this helps. Ave Maria! Thank you...yes it helps! God Bless! Everything will soon be set straight. Even if that means 7 more years or so of trial. What does a traditional Catholic in her sixties do for like-minded serious Catholic lady-friends? By serious I mean those who recognize the seriousness of these times and who don't try to live with one foot in one world and one foot in the other.